Join Kaiser Permanente and become a champion for healthier school lunches! 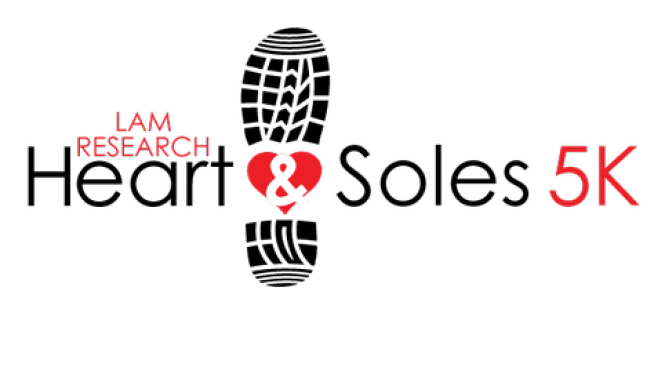 The second annual Heart & Soles 5K run/walk returns to San Jose this year with the goal of raising funds for 60 salad bars for K-12 Silicon Valley schools. Salad bars in K-12 schools encourage healthy eating habits, help reduce obesity and promote overall health that will make kids better learners. Lam Research, title sponsor of Heart & Soles 5K, hopes to help “Salad Bars for Santa Clara County Schools,” an initiative of state schools Superintendent Tom Torlakson’s “Team California for Healthy Kids Initiative,” raise enough funds over the next three years to place 100 salad bars in Silicon Valley schools. The 5K run/walk is for ages 8 and up and is $38 to register. There is a kid’s Fun Run for ages 2-7 for $12. Participants will receive a finisher medal at the end of the race and can get a free beanie from the Lam Research booth.